Data on your smartphone is just like your money. You understand its importance only when you lose it. Your photos, messages, videos, notes, etc are records of your lifetime and it is just too easy to lose them on your digital devices. Just a click here or there or a naughty nephew is all you need to lose that file which you would have wanted preserved. However, there are some tools which give you another chance at recovering these files if you want. One of such tools is Wondershare Dr.Fone data recovery software which can recover any type of data from your Android or iOS device. Data recovery software such as Dr. Fone are most effective when used immediately post the loss of data so that it is not yet overwritten on the disk segment by some new data. Therefore, since the effectiveness of such tools is not guaranteed, Dr. Fone comes as a free limited demo version so that you can run it and see if it can recover your files or not. If in the trial run you can see the files then you can decide whether you want to spend money on it or not to recover those files. A safe way to spend your money, isn't it? Dr. Fone comes as a desktop software for both Mac and Windows desktops. For iOS devices it can try to recover data from the mobile device itself otherwise if can also use the iTunes backup to restore your files. Here we will be using Dr. Fone torecover deleted data on Android. Our deleted data is a mix of m4a files with size varying from a few KBs to few MBs. Start with downloading the software from the above link. The binary is quite light weight and will install quickly. Once installed, launch the software and connect your smartphone through the USB port of your computer. Make sure you unlock your smartphone. To use this software you will have to enable USB debugging for which you need to have Developer options enabled. A quick search online will tell you how to do both these steps which we won't be discussing here since for each Android version there is a little difference in steps on how to do it. While Dr.Fone works on most of the smartphone having Android Gingerbread (2.3) and above, there might be a few devices which it won't be able to support and that's why it is a good idea to use the trial version before to check the compatibility before you go ahead and buy the software. Dr.Fone can recover most of your data if it is in recoverable format. This means be it your Call History, Contacts, Photos, Videos, Documents, Whatsapp backup or cache and more! Let's just discuss in brief what I mean by recoverable format. When some file is deleted from a storage device like the smartphone SD card or internal memory, it is not actually erased from the disk. Only the address to that memory is removed from a file structure, you can consider this the index of a book which gives you the page number to directly go to the information you want. So even if the index is removed, the data still remains there until the hard drive has run out of vacant memory space and will reuse the previously written memory locations. That is why I earlier mentioned that the sooner you run a data recovery software after loosing the data, better the chances of actually being able to recover the data. So it means even if your smartphone is rooted, you Factory Reset your smartphone, you yourself or somebody else deletes something from your smartphone; in most cases you should be able to recover the data unless the data is overwritten or corrupted. Once you have enabled USB debugging on your smartphone and connected it using USB, you should be able to see a screen like below after launching Dr.Fone. Once the connection is complete, in the next screen you can select what type of data you want to recover. You can let Dr.Fone search for all deleted data it can, but for the purpose of efficiency it is better that you narrow your search down to few items or specifically the one you want to recover. Click on Next and on the next window you will have options on how you want to search. By default Scan for deleted files will be checked. This is the fastest search method and in case this doesn't work you can look at the other Advanced options for search. The Advanced options are there in case your primary search fails and you want to repeat the search with added parameters. Click on Next for the next windows and press Start to begin the search. Depending on the deleted data your system still has, the search will take its own time. Once the search is complete you can filter the type of data you want. Select the data you want to recover by checking the Check box and clicking on Recover. The recovered files will be saved at the location you select from where you can decide what to do with it. Data recovery involves a lot of complex processes which Wondershare Dr.Fone shifts under the hood so that you can recover your important data in a matter of few clicks without the need to understand the technical know-how. Using a single licensed copy of Dr.Fone you can use it on up to 5 Android/iOS devices. The installer too is available for both Windows and Mac. The availability of trial version to check in advance if your files are recoverable or not gives you a safe net of not spending your money on a useless software. 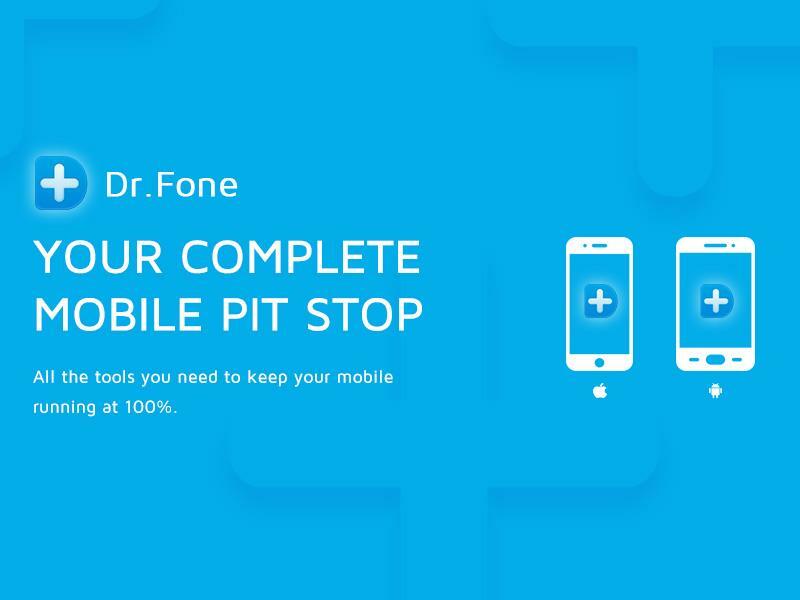 All in all, Dr.Fone from Wondershare is an extremely useful program for those who have lost their valuable data on their mobile device and are ready to pay a premium to get it recovered. Very informative. Keep posting such good articles, it really helps to know about things.